Prom is always there when you are an adult. So, you need to make your wardrobe rich with various styles apparels. 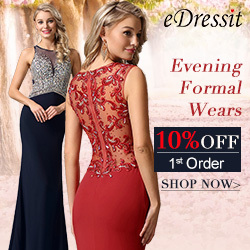 Prepare in advance the dresses when they are on sale. Here is what you need to grasp. 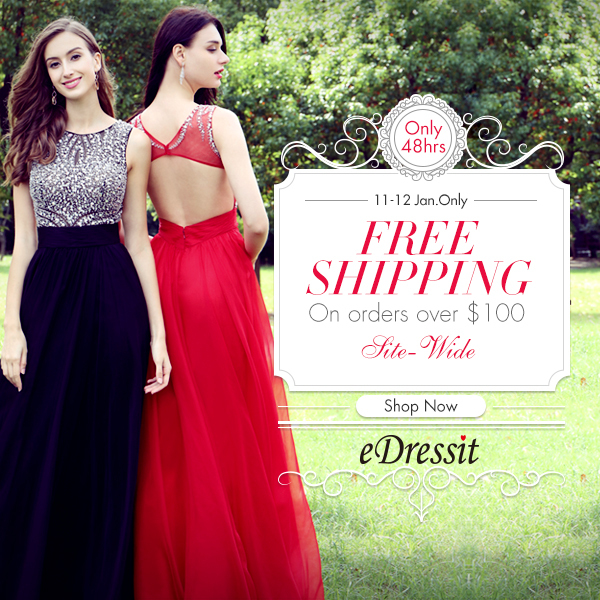 Free Shipping Site-wide on Orders Over $100, including 2017 new dresses, long evening dresses, wedding dresses, etc. 1. From 11st Jan.04:00 to 12nd Jan.24:00 (Berlin Time). If the order beyond $100 (Insurance & Shipping Fee not included). the shipping fee will be free. ONLY 48hrs. don't miss out! Note: sale collection is not available for this offer. 2. Placed order should be paid in 24 hours after the promotion ends, or the system would cancel the order automatically. 3. Coupons and points cannot be used for this deal(Except for newsletter exclusive coupon). 4. eDressit.com reserves all the final rights of interpretation.